Midway Nissan | Blog | Midway Nissan Reviews the 2017 Sentra SL! Midway Nissan Reviews the 2017 Sentra SL! 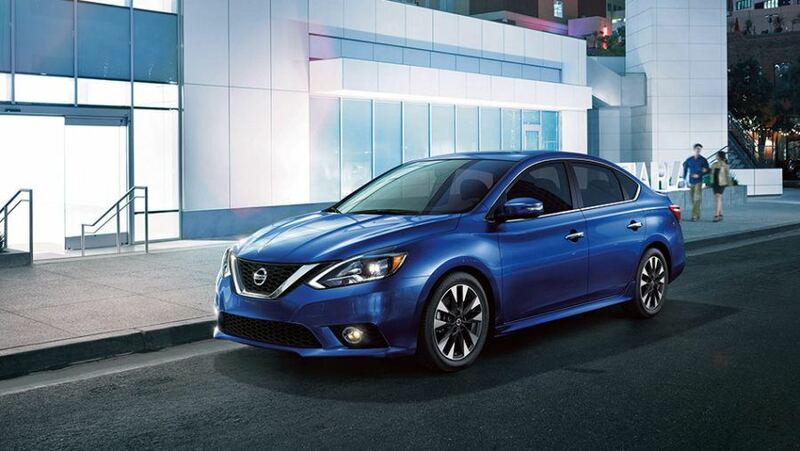 The 2017 Nissan Sentra SL is the next level for the ultimate compact sedan driving experience! It comes equipped with a 1.8L DOHC 4-cylinder, 16-valve engine capable of generating 124 hp at 6,000 rpm and torque of 125 lb-ft at 3,600 rpm. Complying with the Tier 3, Bin 30 emissions standard, the Sentra SL trim features CVTCS on both the intake and the exhaust valves. Standard features include the Nissan Direct Ignition System, Electronic drive-by-wire throttle, and Xtronic Continuously Variable Transmission. The front wheel drive has 11″ vented disc brakes in the front and 11.5″ solid disc brakes in the rear wheels. 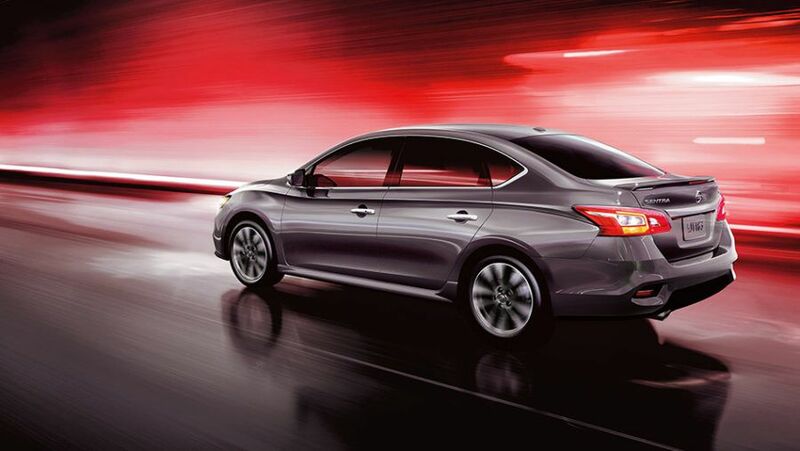 The 2017 Sentra SL has anti-lock braking system on all four wheels, electronic brake force distribution, brake assist, independent strut front suspension with front stabilizer bar, torsion beam rear suspension with an integrated rear stabilizer bar, speed sensitive power steering and under-steer control as an active feature. 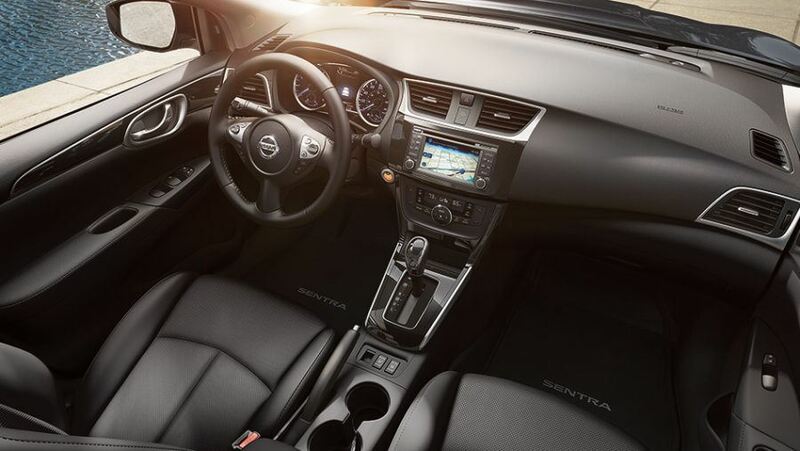 This year’s Nissan Sentra SL comes with the NissanConnect package offering navigation and mobile apps with voice recognition, SiriusXM, text messaging with hands-free messaging assistant, hands-free phone using Bluetooth, Siri Eyes, HomeLink Universal Transceiver, rear view monitor and a 5” Drive Assist color display. Sentra SL does have all the standard Nissan utilities, from Intelligent Key and Push Button Ignition to powered door locks including auto locking, power windows, in-cabin microfilter with the air conditioning system, dual zone climate control with automation, cruise control facilitated further by the illuminated steering wheel with its mounted controls, overhead LED lights, center console housing adjustable cup holders with a storage bin, sliding armrest in front, centre armrest in the rear seat with cup holders, several front and rear pockets. 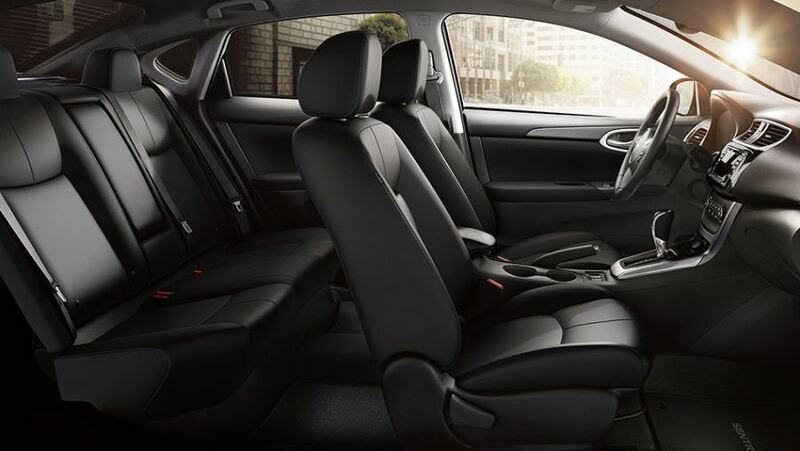 The Sentra SL assures a comfortable ride with its height adjustable front seat belts, tilt and telescoping adjustable (manual) steering column, sun visors, rear view mirror with auto dimming, standard power outlet, and battery saver. The driver’s seat can be adjusted six ways with special two ways for lumbar support. The passenger’s seat can be manually adjusted to four positions. There are heated front seats, fold over rear seats and leather-upholstered steering wheel for a pleasant drive and essential entertainment is assured with the six speakers, MP3/WMA playback, RDS and speed based volume control. The 2017 Sentra SL has AABS which is advanced air bag system from Nissan with supplemental air bags in the front that deploy in two phases facilitated by the occupant classification and seat belt sensors. There are side impact seat mounted supplemental airbags for the driver and the front passenger. There are roof mounted air bags for side impact and to protect in case of rollovers. The Sentra SL has all other active and passive safety features expected from Nissan, from VDC with TCS to blind spot warning. If you’re in the market for something fun to drive, the 2017 Sentra SL is your top pick! If you’re in the Whitby or Oshawa area, we invite you to book your test drive with Midway Nissan today!